#AceFoodNews Oct.30: Easy, refreshing, and much prettier than soda. Perfect for fall, and especially useful as a Thanksgiving dinner digestif. Get the recipe. A little sweet, a little savory. Get the recipe. #AceFoodNews – Oct.30: A new study raises further questions about NHS guidelines going back 32 years warning people to avoid butter, full-fat milk and other high-fat foods. 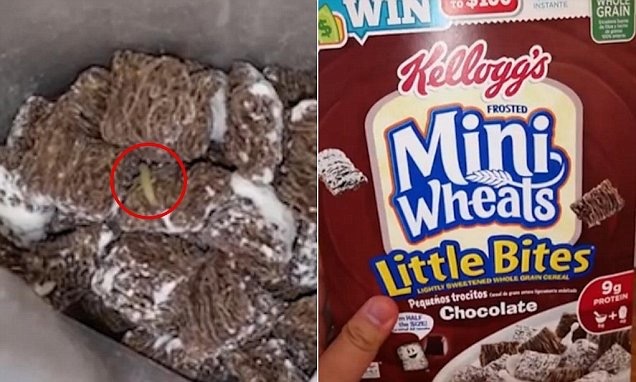 #AceFoodNews – Oct.30: These are the disgusting scenes as man from the United States opens a packet of his favourite breakfast cereal only to discover that something was moving inside.